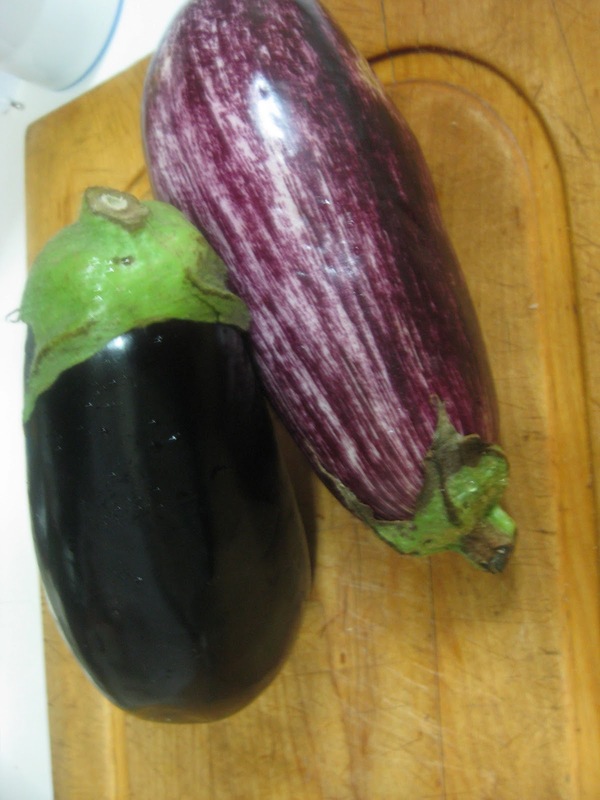 Wash eggplants. Cut off stems. Slice in half and rub with salt. Place face down on paper towels for 10 minutes at least. Boil water in pot. Add the eggplants and boil until the flesh is soft, about 10 minutes. Remove the eggplants, squeeze out water and mash them. Stir in breadcrumbs, an egg beaten with oil, coriander seed and cinnamon until all is well mixed. Make cakes, balls or cylinders with the paste, dip in flour to prevent sticking. 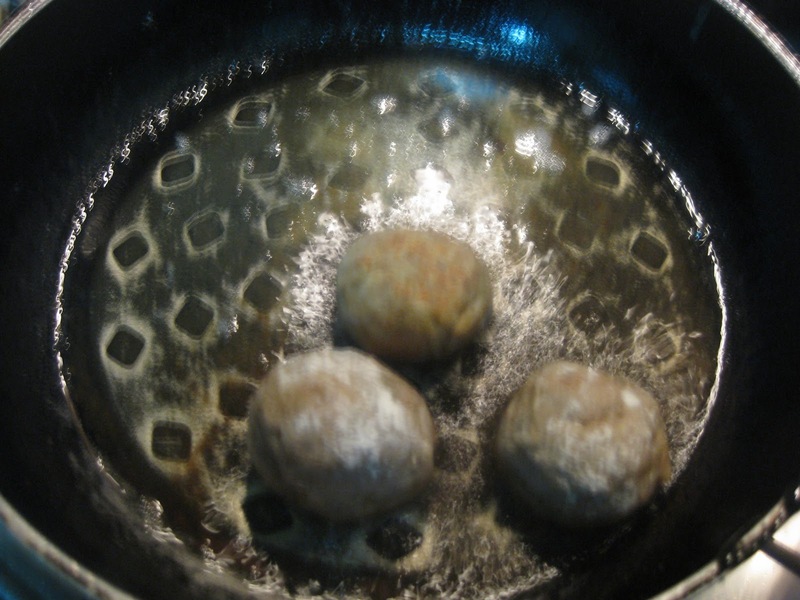 Heat olive oil in a frying pan an fry until golden brown. Make a vinaigrette with oil, murri and mashed garlic; boil and pour it over the omelet. Eggplant Cakes with Vinaigrette - Delicious! Great hors d’oeuvres, a first course or served with honey instead of the vinaigrette for dessert. 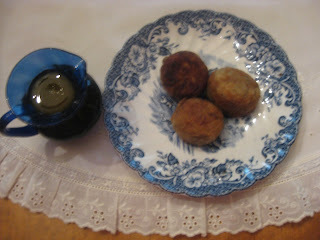 See blog titled almorí published Aug 25, 12 for recipe. WHAT IS YOUR REACTION TO THIS BLOG?